As a payments service provider, Ingenico ePayments works with various eCommerce platforms and enable merchants to integrate with our platforms using payment extensions. With our newly certified Magento 2 payment extension, our UK Channel Manager explains what this could mean for your eCommerce business. 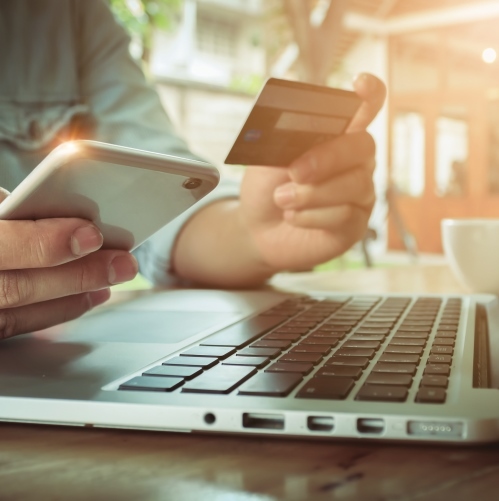 Mastercard’s 2017 Masterindex noted that 25% of European internet users are now buying online once a week and 60% doing so once a month, emphasizing the surge in demand across the continent and merchants’ need to cater to these new requirements. According to CXO today, milliseconds are critical in online retail. Even a two-second delay in loading a web page can increase bounce rates by 103% and today’s customers will quickly abandon a website that isn’t functioning as efficiently as they expect. This can have a huge impact on online revenue. A strong online experience is critical to maintaining eShoppers’ attention and smooth checkouts will convert interest into sales. So it’s not enough to simply have an online presence anymore. Even with smooth running websites, checkout abandonment rates can still be a challenge. That’s why working with a solid payments extension is vital. If the checkout process isn’t convenient – for example if customers have to jump through lots of hoops to order their product, or if they don’t recognize the payment options - customers will look somewhere else. In the UK alone, 52% of retailers say that friction in online checkout is the main cause of checkout abandonment. Moreover, UK retailers are missing out on £2bn in online revenue each year due to slow websites and not having guest checkouts, according to a recent report on eCommerce performance. These trends are certainly not isolated to the UK alone. Across Europe, the average abandonment basket rate is over 52% according to the Ecommerce Foundation, while a Baymard Institute study found that only 44% of customers start to fill in the checkout form and only 12% completed the whole checkout form to complete the transaction. That’s where Magento comes in. Magento is based on open source technology and is one of the worlds’ leading platforms for online merchants seeking to build the look, feel and functionality they desire for their eCommerce business. As an eCommerce platform, they offer the software technologies that facilitate building and hosting a digital storefront, with everything merchants need in one place, including product management, marketing, and logistics. In fact, Magento’s open source nature was one of their founding strengths, allowing technology providers to “plug-in” extensions into the original Magento 1.0 platform, enhancing its functionality. Now there is a newer and further refined version, called Magento 2 which offers merchants access to quick, cost-effective and engaging omni-channel shopping experiences that they can roll out to their consumers. Although Magento 1.0 will continue to run until late 2018 and Magento 2 is quite new, thousands of eCommerce merchants have already recognized the value offered in Magento’s new platform and we think it’s worth taking note of as well. Magento 2 offers new features including easier customisation, faster time-to-market, and greater deployment flexibility to public or private cloud environments. More extensive and efficient APIs allow merchants to connect and operate at scale with any third-party solution, and theming capabilities make building site variations for new product lines or geographies easier than ever. Without a doubt, these options will help boost conversion rates, facilitate business agility and enable greater productivity and scalability. At Ingenico ePayments, we recently announced our new payments extension which has been custom built to fit the Magento 2 architecture and maximize its benefits. Recognizing the platforms’ immense potential and the wide range of benefits it offers merchants, we were one of the first payments service providers to become certified for Magento 2. Now, our merchants can make use of the full suite of conversion-boosting payment features tailored to each market, meaning customers will be offered a familiar, secure checkout in their local language and currency. Our free payments extension for the Ogone platform integrates seamlessly with Magento 2, to create rich, differentiated consumer experiences that maximise revenue by boosting conversion through highly tailored checkouts. Merchants will have to access One Step Checkouts (OSC) and international payment methods tailored to each market. Key features include payment retry pages, OSC support, adaptive options for landing pages and redirection, and support for emails linking to payment pages. This all means a simpler, easier payment experience for Ingenico ePayments’ merchants operating on the Magento 2 platform, ultimately promoting greater conversion via an improved customer experience. Merchants today have more control than ever before to get the most out of their transaction process and bring far more customers over the finish line. Customers will continue to look internationally for their online shopping, and demand a secure, fast checkout experience with the payment method of their choice. Merchants can meet these needs, with features such as tailored payment options and faster and more efficient checkouts. And as businesses grow with Magento, we expect to see even more innovative strategies for rich omni-channel experiences across all areas of commerce. For more information about our free payment extension for Magento 2, go to the Magento Marketplace. Rebecca is a Channel Manager at Ingenico ePayments who is extremely passionate about eCommerce and helping customers grow. She is a Magento Solution Specialist and runs an eCommerce & Magento focused YouTube channel in her spare time. Her natural habitat is anywhere that’s social, so she can always be found actively engaging with and influencing the eCommerce community.